Rustic Western Furniture . . . Adventure and Style! Rustic Western Furniture . . .
Rustic Western Furniture . 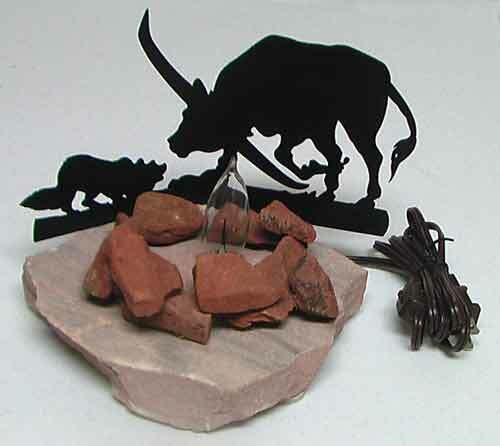 . . Western style home decor. 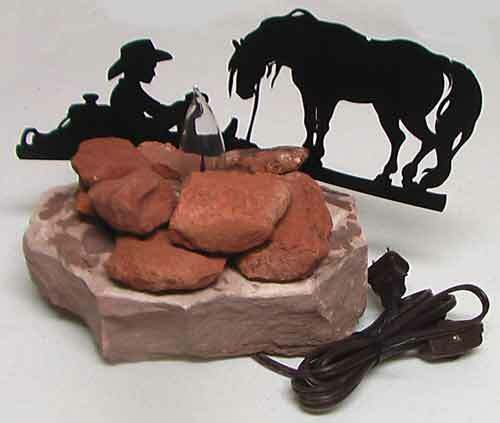 Reflect the "old west" in rustic furniture and cowboy themed wall art! 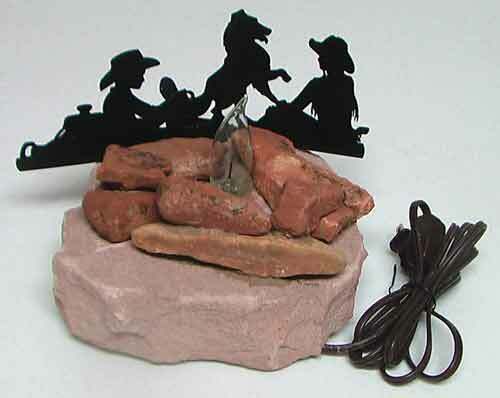 Rustic Western is a timeless classic style for deocorating one room, or the entire home. Either way, it is a theme that has stood the test of time. 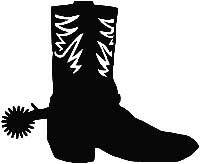 It has always been popular, and continues as a favorite for those fond of Western look and lore. Ponder on the style of the old west. There is something enchanting about this era of adventure. Something bold and yet in it's own way very simple. A step back in time to a simpler life. 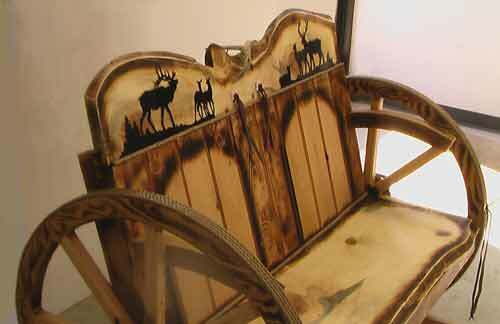 Western furniture is not just about cowhide any longer, but is also often made from natural materials such as wood, rocks, and metals. Furniture plays an important role in your home decorations. 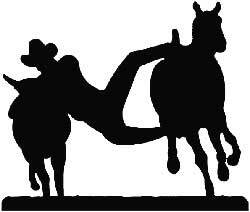 Bring on the adventures of yesteryear with cowboy themed wall art. Or the silouette of a flicker lamp. These flicker lamps make a fun night light casting a silhouette of the image on the walls. Maybe a custom bench, love seat, or porch swing for you and you know who. Each, individually, uniquely created. This rustic western furniture is as durable as it is lovely, constructed of the best materials using the finest construction techniques. 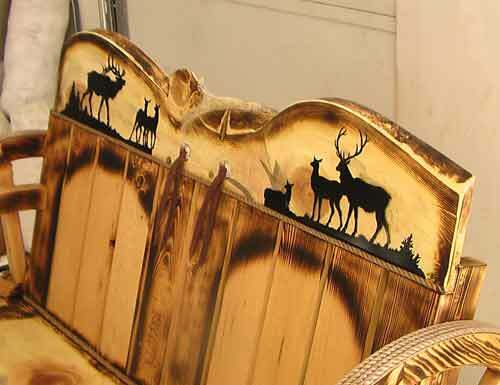 The unique personality in each commissioned piece of custom western art furniture is captured by our master craftsmen. 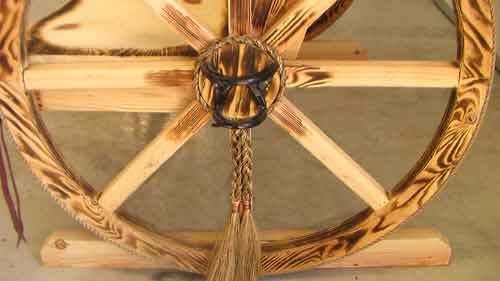 Or Visit our affiliate for some of the coolest rustic decor on the web. Check out the Home Decorators Collection. It is an "Idea Bank" for great interior and exterior design ideas. For ongoing information on Water Jet Cutting and home decor tips, Subscribe to our Newsletter, "A Cut Above the Rest!" Click Here! to Subscribe, top left. To discuss your quote specifications for . . .